For the first time, Carnival Cruise Line will be sailing out of San Francisco beginning in 2020 as they continue to make a strong push into the West Coast market. Given how favorably cruisers reacted to news that Carnival Miracle would sail out of San Diego in 2019, it’s not surprising that the following year, the ship will do an eclectic variety of sailings out of San Francisco. This move only further shows the major investment Carnival is making in the West Coast, especially given that for the first time in two decades, they’ll be homeporting a brand new ship in California when the Carnival Panorama begins sailing out of Long Beach late next year. 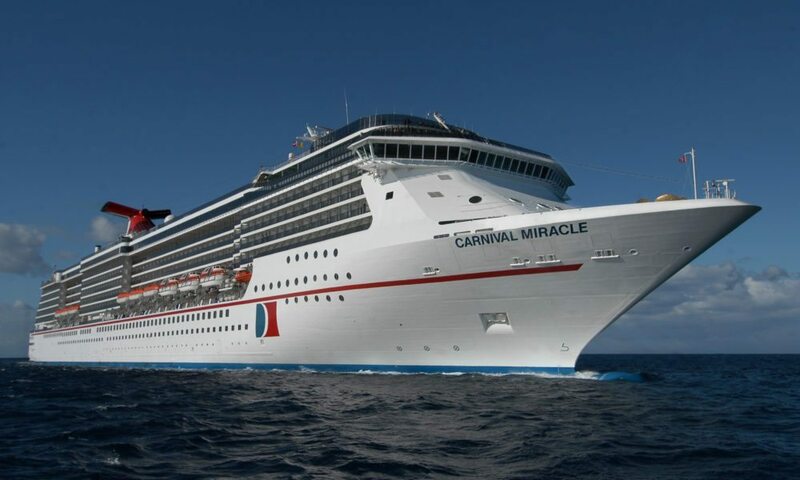 Carnival’s inaugural season in San Francisco will find the Miracle doing four-day voyages to Ensenada beginning March 19, 2020. With the ship leaving on Thursdays and returning Monday mornings, these spring and summer trips will be perfect for people looking to getaway for a long weekend. The ship will also sail five- and six-day cruises to Ensenada, Catalina Island and San Diego. Those looking for a longer sailing out of “the city by the Bay” will be able to hop on 10-day trips which will head to such beautiful Alaskan outposts as Juneau, Skagway and Icy Strait Point, as well as a special one-time-only 11-day Alaska cruise which will depart San Francisco on August 9, 2020. Perhaps the ultimate trip out of San Francisco will be the April 16, 2020 sailing to Hawaii, featuring stops at Maui, Honolulu, Hilo, Kona and Kauai. That will be a 15-day Carnival Journeys voyage, meaning it will feature food and entertainment inspired by the places the ship will visit, opportunities to learn about the various ports and the popular “throwback sea day,” which offers a chance to go back in time to the 80s. When the fall and winter of 2020 rolls around, Carnival Miracle will relocate to San Diego. Beginning October 4, she’ll do three-day getaways to Ensenada, four-day sailings to Ensenada and Catalina Island, and five-day trips which will spend two full days in Cabo San Lucas. The 88,500-ton Carnival Miracle was built at a cost of around $375 million and launched in February of 2004. A Spirit-class ship, she carries 2,124 passengers and 934 crew members. In 2015, the ship was outfitted with the lines then-signature Fun Ship 2.0 makeover, meaning she received such venues as the RedFrog Pub, Alchemy Bar and Cherry On Top, as well as a new Sports Bar. Currently, the ship is sailing 6- and 7-day itineraries out of Tampa.